Our VP of Grocery responds to Amazon’s most recent changes in how Whole Foods supports small farmers and foodmakers. This week came with another round of changes Amazon plans to make at Whole Foods: the grocer recently announced that brand reps are no longer allowed to sample or market their goods in stores or review product placement. At the same time, Whole Foods is working to centralize their buying in an effort to make assortment consistent in stores across the country. This is big, and has a huge impact on the small producers the grocer serves. Jamie Nessel, our VP of Grocery, (and veteran of Whole Foods herself), shares her thoughts on this move, and how we do things differently. I should start with a fact that seems to have been dropped from the conversation: this is nothing new. The journey from pitch to sell for small food brands at big grocers, like Whole Foods, is a difficult one. They pitch one or two or four stores, maybe end up on the shelf, and when reviewed six months later, they’re dropped if they haven’t immediately attracted a loyal customer base or notable brand recognition. Then they start that cycle all over again with another product or another retailer. But! Even though odds were stacked against them, small scale brands were still able to get a foot in the door at Whole Foods. Producers could pitch to regional buyers, build in-person relationships with customers in stores, and in turn, build their brands. With last week’s news, it sounds as if those opportunities have all but disappeared. Small local producers don’t even have that first shot. At Good Eggs, our producers have and always will be our partners. Period. We’ve been a champion of small food from the get-go — it’s what our model was founded on. We have an amazing team of buyers who find value-aligned foodmakers making really special, delicious food and bring them into our marketplace a partner. Together, we’re figuring out how to bring ethically-made local food to more of our community. This is where we started, and it’s where we still are. It’s not our plan to change that anytime soon. At Good Eggs, our producers have and always will be our partners. Period. We’ve been a champion of small food from the get-go — it’s what our model was founded on. This year, we’ve doubled down on our commitment to our producer community. We’ve launched a new co-marketing program, explicitly outlining how we work with our producers to grow their brands and sales on Good Eggs–no fees attached, no promotional pay-to-play. We sample their products in the community, we share their stories on our blog and in our newsletters, and we plan events together. In turn, they offer discounts on new products they want to introduce or make subscribable for our customers. We advocate for them, and they advocate for us. Even in the midst of the significant growth period we’re in right now, we won’t waver in commitment to our mission: to reinvent your food system, for good. Even in the midst of the significant growth period we’re in right now, we won’t waver in commitment to our mission: to reinvent your food system, for good. That means staying true to our sourcing standards, and rather than turning to large distributors, we’ll focus on expanding our network of small suppliers to feed our customers. And when our producers need help keeping up with our collective growth, we’ll be there. We’re partnering with organizations like Kitchen Table Advisors to work with our producers to build the infrastructure they need to scale, and grow with us as we grow. We want to make working with us a sure shot, even in these changing times. We’re always looking for ways to better support our producer community and build small local brands. 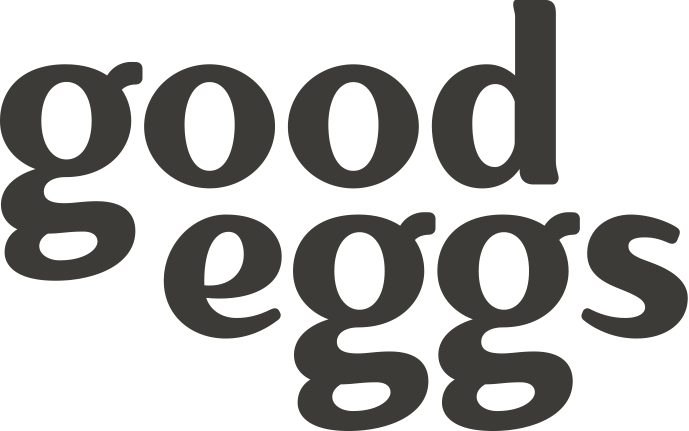 Reach out with feedback and ideas to info@goodeggs.com, and learn more about how we source our goods, here.